Ceramic inlays are the right choice when a natural appearance of the teeth and a high durability are desired. Ceramic solutions do not differ from natural teeth in shape and colour. The material offers extremely high chewing stability. 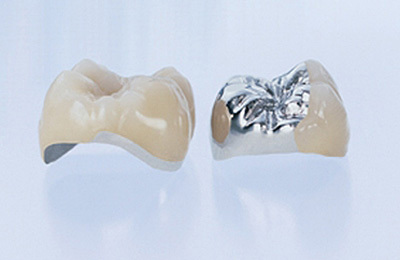 Composites ( resin materials ) prove to be valuable and versatile materials in practice. They are used for smaller defects in the anterior and posterior region. Veneers are wafer-thin ceramic veneers. They help to correct discolorations, gaps and irregular teeth and to improve the optical impression especially in the visible facial area. Would you like to learn more about the aesthetic dental treatments in our practice? We would be happy to advise you personally. Make an appointment in our practice in Franfurt am Main.